Healthcare Sales & Marketing Network(R): Connecting Independent Medical Sales Representatives and Medical Distributors with Medical Manufacturers. 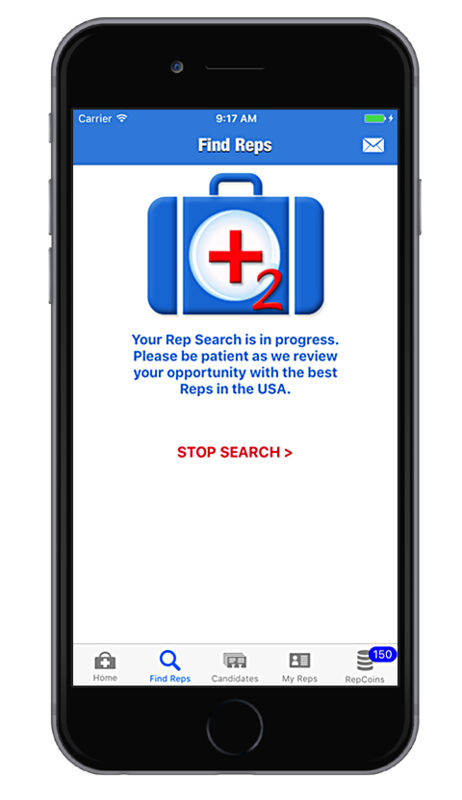 Get this app, and you'll find your reps.
Joan S., Regional Sales Dir. 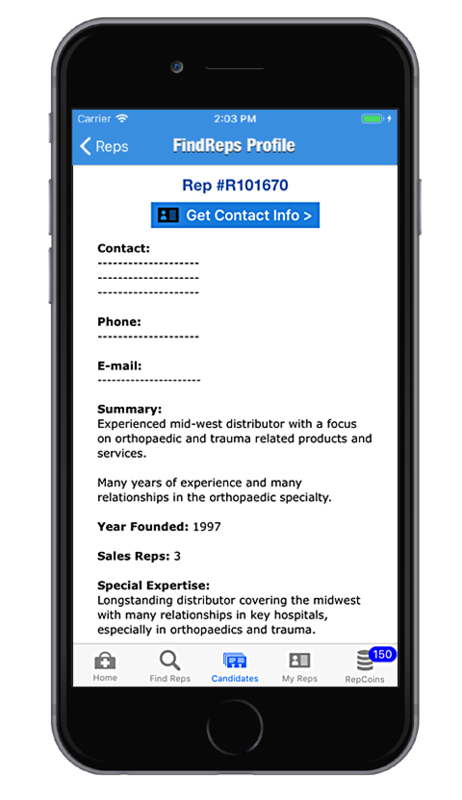 Find medical Independent Sales Representatives (ISRs) and Distributors without spending a fortune on recruiter fees. 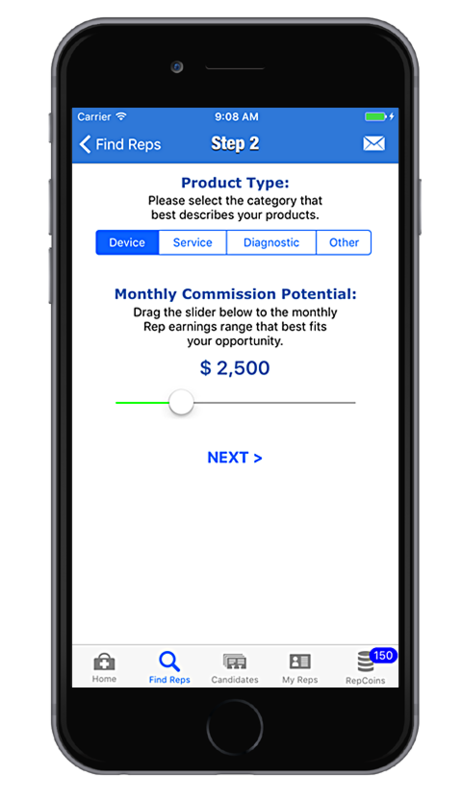 FindReps 2 is the latest version of HSMN's game-changing FindReps™ app, designed from the ground up for medical manufacturers with startup budgets. HSMN membership is NOT required, and there are NO subscription fees, making it even easier and less expensive for medical companies to locate and connect with Independent Sales Representatives (ISRs) and Distributors. 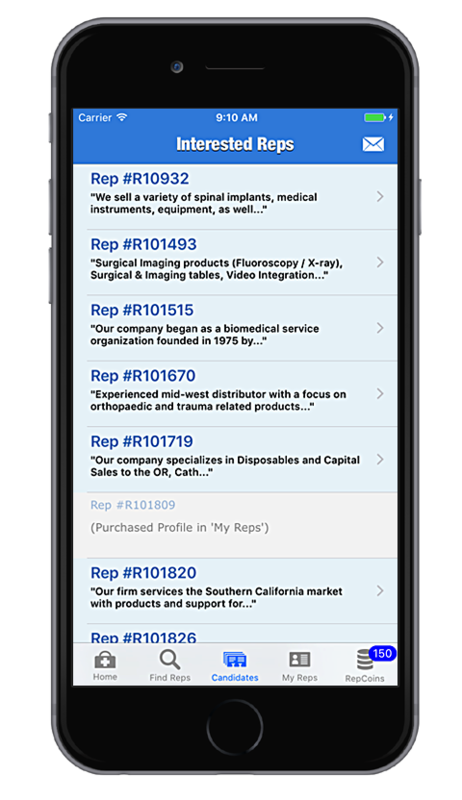 With the FindReps 2 mobile app for iPhone and iPad, medical manufacturers can identify, evaluate and connect with qualified ISRs and Distributors across the USA – much more efficiently than traditional recruiting, and at a tiny fraction of the cost. Looking for New Product Lines?